Campers live in spacious, modern, comfortable cabins with electricity, showers and toilet facilities. Campers and counselors sleep in cozy wooden bunk beds. The Bathrooms have private stalls and showers. 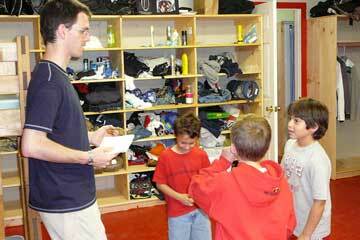 Campers tidy their own spaces, and a professional cleaning staff cleans the toilets and showers daily. 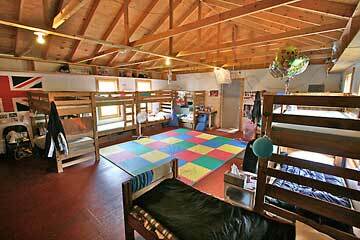 There are ten campers supervised by three counselors in each bunk. 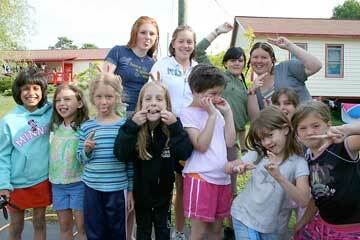 Our youngest campers live in our Junior Lodges, which are special cabins that combine three bunks under one roof to enhance cooperative learning and peer relationships. 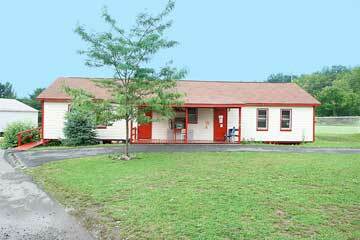 These cabins have a common center room for games and other social activities. Many of the cabins feature bunk beds with plenty of open space in the center of the cabin, and electrical outlets so that campers can plug in fans, alarm clocks, radios, or recharge small electronics. The campers leave the bunk every morning and go out and learn and achieve at various activities. Many times, they are with various members of their bunk, sometimes their interests separate them from their bunkmates. But at the end of the day, and at every meal they reunite with their “bunk”; it’s their secure sanctuary, it’s their support, it’s their best friends, it’s like coming home and knowing that your “family” is there to share in your successes and comfort you when needed. The bunk is the core of each campers existence, just like with their family at home. One thing that stands out at French Woods is the tremendous support that the campers give to one another. The professional connections, bonds, and friendships that campers and staff form at French Woods can influence their lives forever.